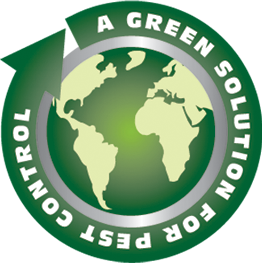 “We offer 100% All Natural Eco-Friendly Pest Control” Our basic service includes control of all “common household pests”. This would involve all pests that commonly invade the desert southwest, including but not limited to: ants, crickets, cockroaches, silverfish, earwigs, spiders, and scorpions. This is the typical service requested on a routine basis and customizable to your needs. Whether it be interior and exterior application or simply exterior only upon your request. This service always includes a thorough inspection throughout your home and yard. Treatment will include child and pet friendly spray application along all perimeters, baseboards, and necessary areas. This service includes full crack & crevice service, drain dusting, removing webs, ant baiting throughout yard area and complete eradication of targeted pests. Our friendly and knowledgeable staff will alert you of any pest situation that you may not be aware of. We offer full termite treatments for all structure types. These services come with a one-year worry-free guarantee with an option to renew on an annual basis. Our certified technicians are readily available to inspect your home or business for termites, whether it be for the purpose of selling or buying a property or simply peace of mind. We also offer termite warranties regardless if you have an infestation or not. These warranties give you the satisfaction of knowing your home will be properly treated without a financial hardship if a costly infestation invades your dwelling. Some of the specialty services listed herein may require some assistance on your part. For example, removing all bedding and thoroughly washing it in hot water during a bed bug infestation. Working together, we will successfully rid your home of all unwanted pests and promise to do our part above standard. We pride ourselves in 100% total satisfaction.